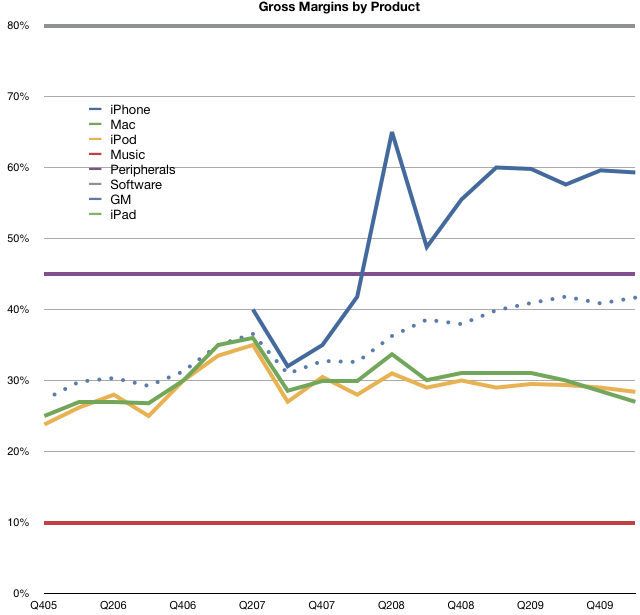 Apple’s overall gross margin reached 41.67%, the second highest ever. The highest was 41.82% last Fall. This should not come as a surprise as the iPhone continues to make up an increasingly larger percent of Apple’s total sales. The gross margin on the iPhone continues to be well above all its other product lines (except for software). A historic perspective for gross growth (iTunes, Peripheral and Software sales growth) is shown in the graph below.